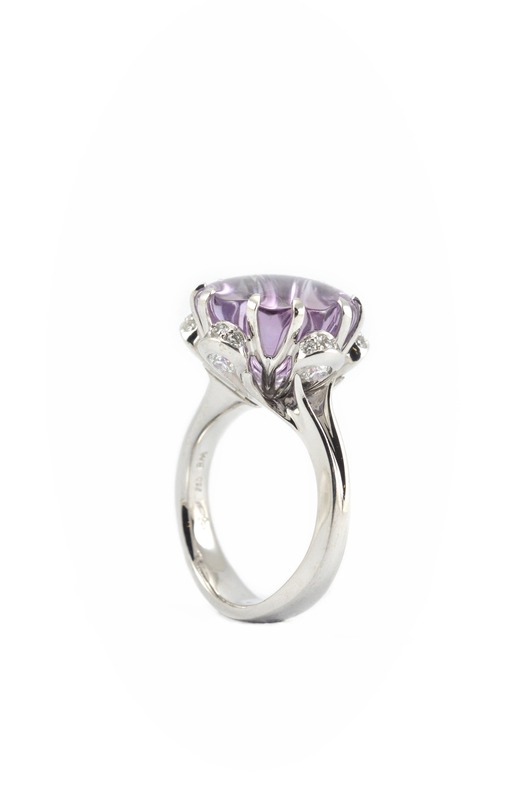 As seen in UK Vogue. 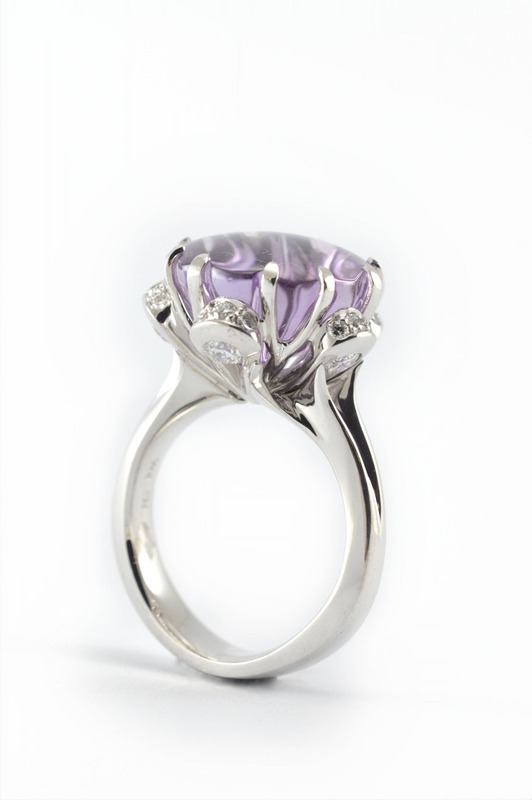 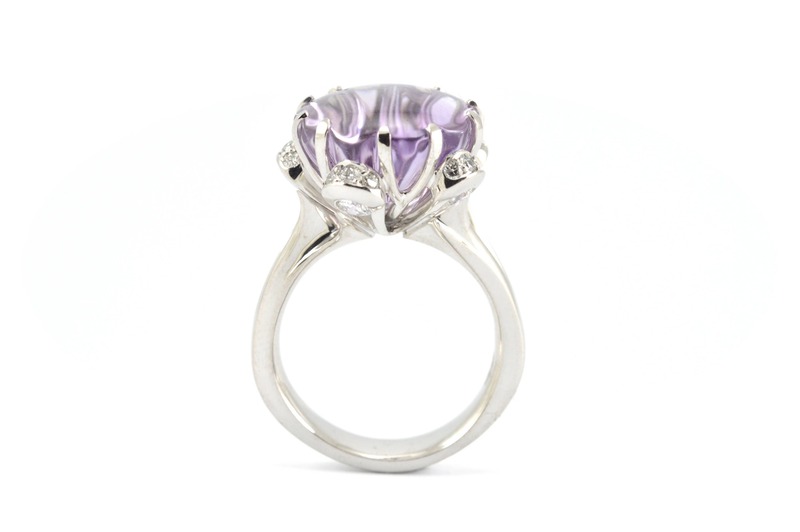 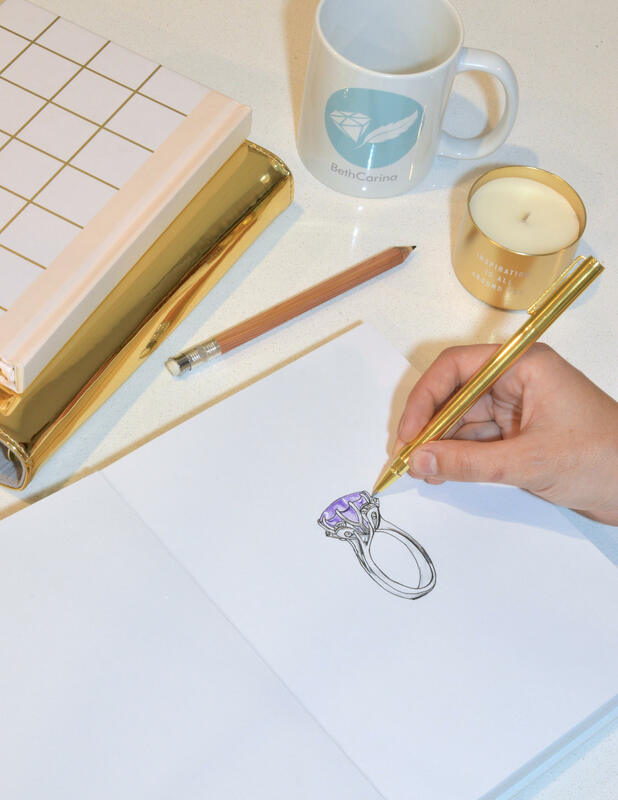 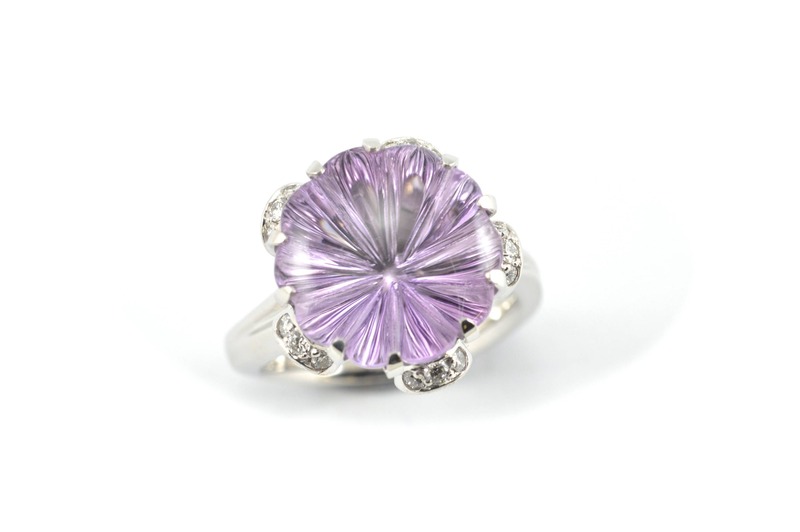 The Lotus ring is inspired by Nature and is made of 18k white gold featuring a laser cut Amethyst surround by petals of diamonds. 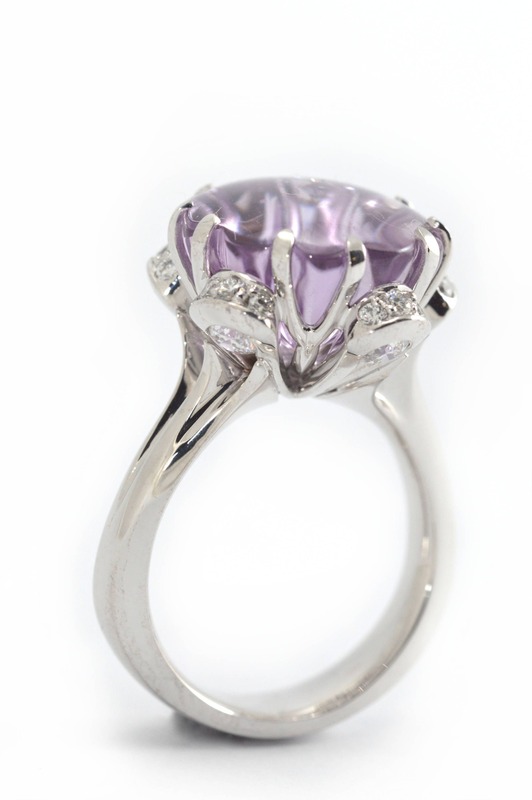 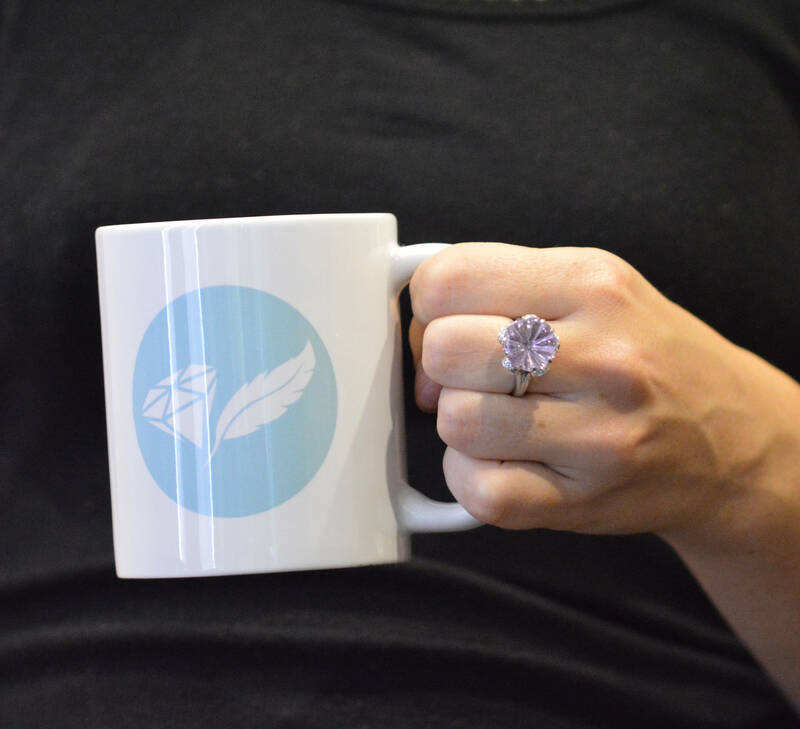 The ring looks like it may have grown rather than expertly handmade. 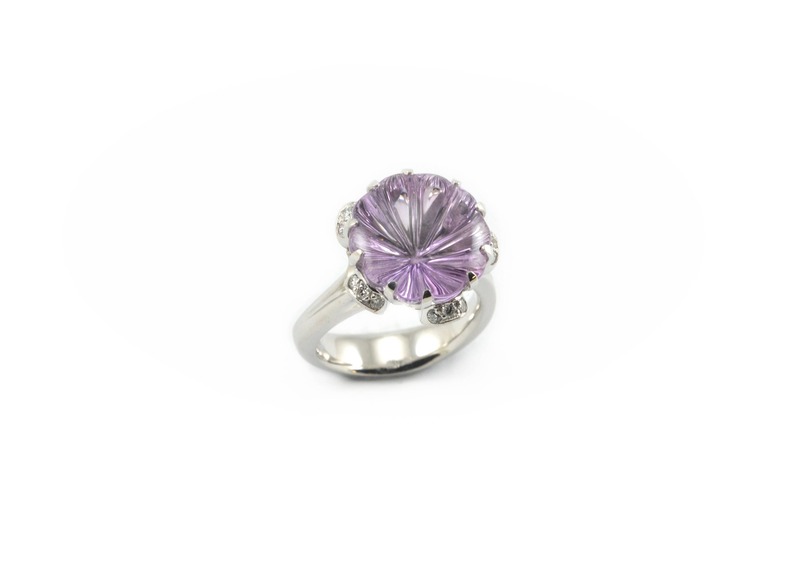 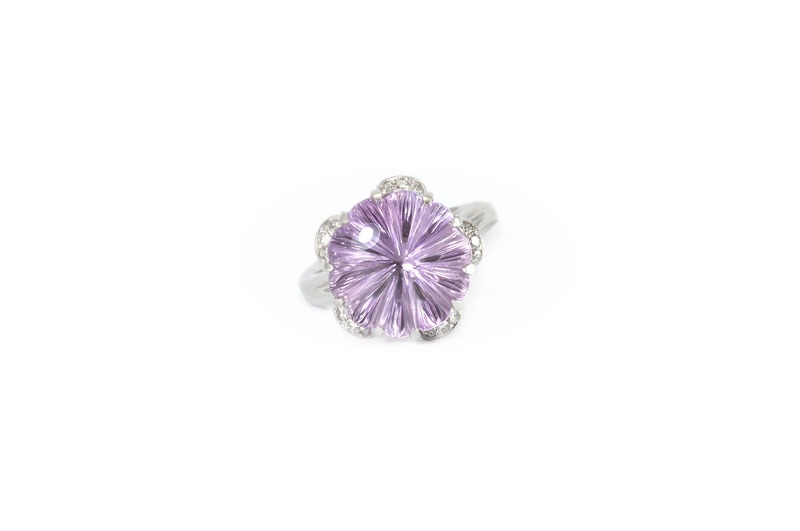 This exquisite ring is from the Runway collection.